Yup, still pregnant. Due date is in two weeks, so I imagine I’ll have more people asking if I’ve had the baby yet around then, but at this point, I’m kind of at the point where I could have the baby today or I could have to wait nearly another month. This week we spent a fair amount of time just refining our prepping. We had the quick and dirty bare minimum done (we have a car seat, bassinet, some clothes, some diapers, and feeding supplies ready), but this week we kept working on making things a little more ready. We washed everything we’d gotten from our shower (within reason; we didn’t wash the books, obviously), and we made sure the car seat carrier was clicked into the base in Dan’s car. We also worked more on packing out hospital bags. I still need to clean out the back of my car so we can install our second car seat base. 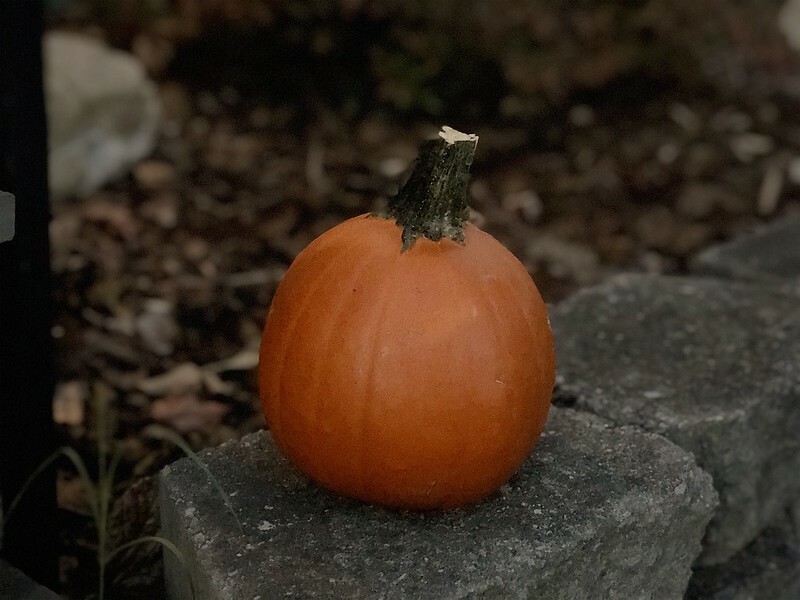 Oh, and I’m also playing with setting up a separate Instagram account for this blog (with the handle @cecinestpasunmommyblog), so feel free to follow me over there if you’re on Instagram. Dan packed his hospital bag, but after our meeting with the doula, we realized that we should organize things into a bag for before I give birth and for after I move into recovery, rather than a his and hers bag. So we repacked all the stuff we need for the actual birth in my bag and put the things I was going to bring for after giving birth into Dan’s bag. We also got snacks for Dan and packed everything edible up into a separate bag so we don’t need to worry about food leaking onto important things. 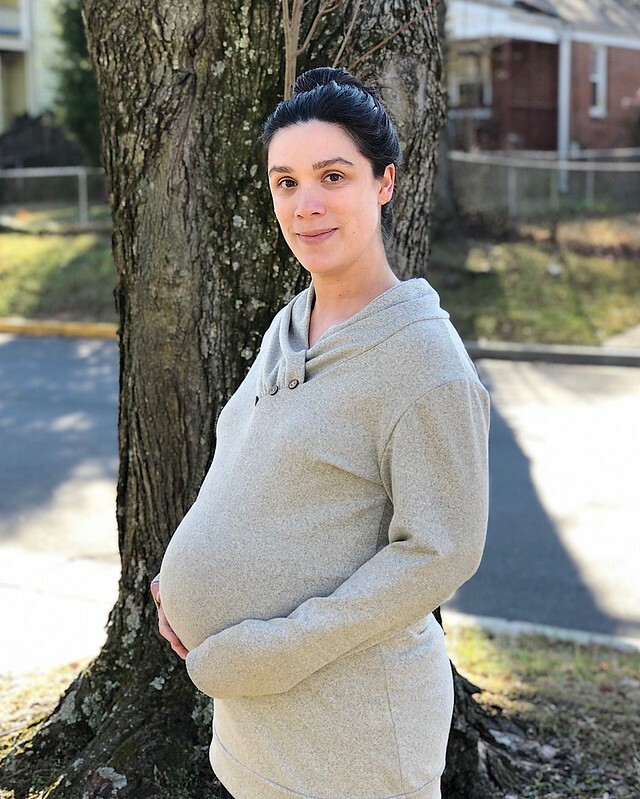 At this point, I feel like we’re about as ready as we’ll ever be for the actual birth, plus we live close enough to the hospital, that we can probably run home for things if we need them. Thursday I had my first weekly appointment with my OB. I go every week now, which is actually kind of nice, since I like my OB’s office and they’re pretty good about fitting me in for the earliest appointment possible so I can go and still be back at a reasonable hour to start teleworking without taking time off. I got to the office before 8 a.m. this week and it was kind of neat being the only patient there. I definitely feel like I’m starting to recognize the nurses and get to know people. It’s kind of funny, though, because other than measuring my vitals and fundal height, checking heartbeat, and asking if I have any questions (and checking my cervix, starting this week), there’s not really a lot to do during an appointment. I’m usually out in less than half an hour. I’m having a very boring pregnancy. I think I’ve been asked if I’ve chosen a pediatrician three times, simply because they’re looking for something to ask, kind of like when you go to an interview and you feel like you need to have something to ask when the interviewer asks if you have any questions. But hey, boring pregnancies are good, right? I’ve also been working on freezer meals. The doula also had the brilliant suggestion (I really need to do a post of “brilliant suggestions my doula has made that seem so simple but I didn’t think of them”) that instead of carving out some time to make a bunch of “freezer meals” and free them, we should just make extra dinner when we’re already cooking for the night and freeze half of it. So I’ve made a point to make double-batches of some of our go-to dinners and we now have four dinners in our freezer, ready to go once the baby is here and things are crazy. We’ve also stocked up on some Trader Joe’s staples (their char siu bao are my favorite), and we’ll get some bags of frozen veggies to augment some of the Instant Pot curries I’ve frozen sans veggies. I had the distinct feeling that the baby might have dropped this week. Starting about Monday evening, I definitely noticed more pressure in my pelvis. It’s odd because I don’t actually feel like I’m having pressure on my bladder. It’s like my bladder has found some sort of pocket dimension to hang out in so that I’m not the stereotypical always-peeing pregnant lady. I mean, don’t get me wrong, I’m not complaining that I don’t have to get up more than once at night to pee, but it’s just weird because it’s the one consistent complaint I’ve heard from people. I also think my acid reflux might be getting slightly better because I missed my morning Zantac the other day and didn’t even notice for an hour and a half, when usually I’m starting to feel it an hour or so before I’m due for another dose. When I had my first cervical check at the doctor, she mentioned the baby was at -1 station, which isn’t super low, but said it probably explained the increased pressure I’m feeling. Oh, for anyone following along at home, my cervix is still closed and posterior. Cervical status isn’t a crystal ball, but that suggests baby will be hanging out where they are for a bit. Other than that, the nagging pregnancy complaints just kind of keep ramping up. My hips are getting sore more easily, particularly in the inner hip creases where I bet my ligaments are loosening. I find that making time to do some labor-prep stretching every day really helps. 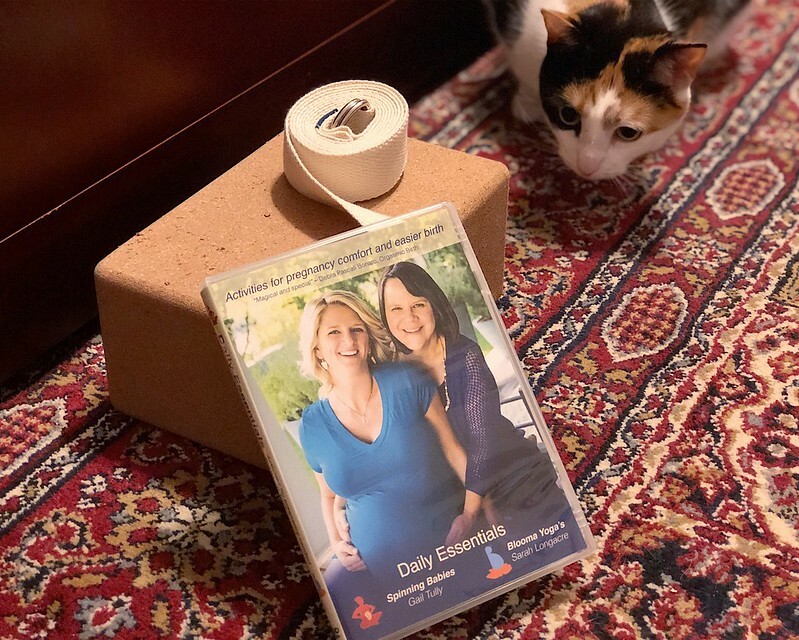 On days when I don’t do the full Spinning Babies routine or some yoga, I’ll do my top four favorite exercises from the Spinning Babies routine (three of which are also recommended in my Hypnobabies course). 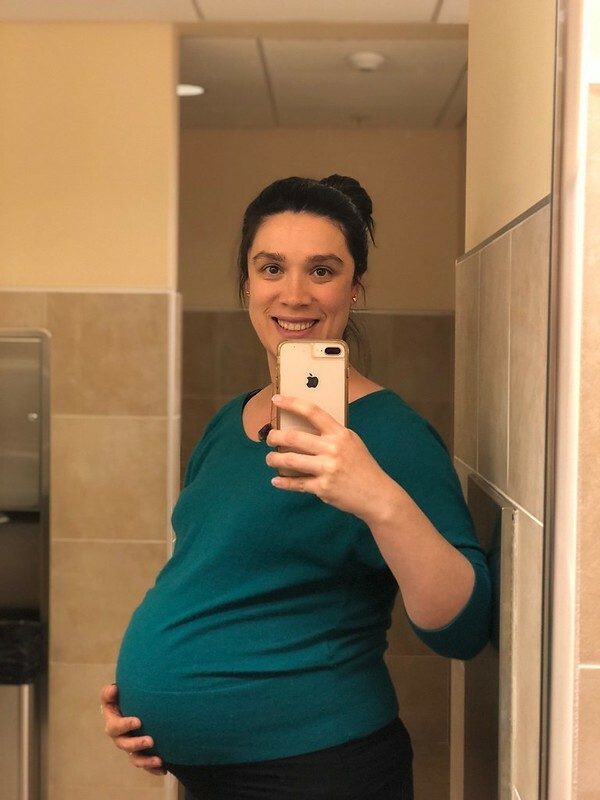 I think I’ll post a bit more about exercise in some detail later this week because I haven’t really posted about it since the second trimester when I was still going to barre 2-3 times a week.